I am always looking for a great deodorant and one that can help mask odor and not just cover over it. 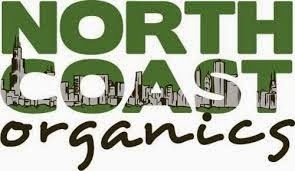 Well have you ever heard of North Coast Organics everything there is organic, vegan, and handmade which is great because it's all natural. I really do like this stuff when I put it on it was really nice not sticky at all and it seem to keep me smell free. The scents that I received are the pink, Death by Lavender, and Revolver. They all are great. This is really good if you can't decide which one you want. Why not get the sample pack?? This pack retails for $8.99 and are good sizes to figure out what you like. Naked is formulated to be gentle on your skin and harsh on odor. naked uses the minimal amount of the finest, natural ingredients to ensure that you do not stink and your underarms are not harmed. Death will kill [odor] for you. She relishes snuffing odor out. She bares her true face for it puts odor on notice. Death is a cocky, elite assassin that will never miss her target. She is unlike any other deodorant you will meet. Although a ruthless killer [of odor], she has a soul. She utilizes only the finest, organic, all natural ingredients as her weapons. This container is recyclable and resusable. The labels are printed in vegan ink on 100% Tree Free/100% Fair Trade Certified Paper. 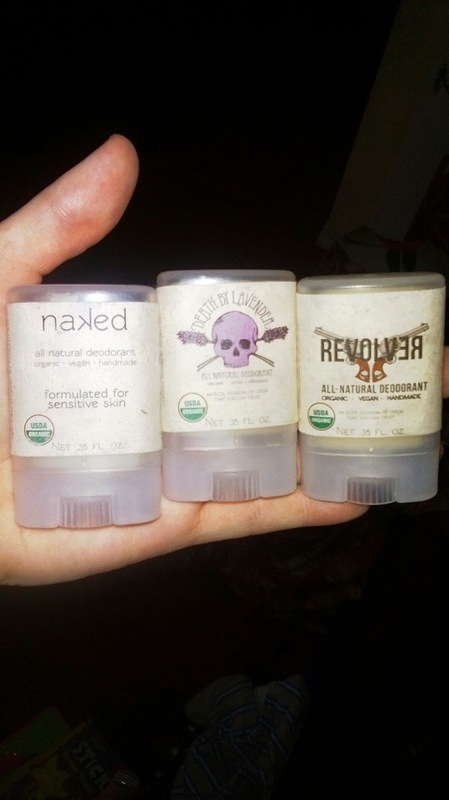 Revolver is unlike any other deodorant you will ever use. Revolver shoots down odor wherever it lurks and will never miss its target. Unholster Revolver today and send odor to an early grave. Although a ruthless killer [of odor], Revolver has a soul. He is made from only the finest, organic, all natural ingredients. This container is recyclable and resusable. The labels are printed in vegan ink on 100% Tree Free/100% Fair Trade Certified Paper. Mostly just baby powder. For summer, that isn't a good choice!! I mainly use isopropyl 91%. Occasionally, I use baking soda or cornstarch. I use Thai Crystal Mist Deodorant. It's great. Affordable and completely natural. I currently use Earth Science deodorant with the liken plant ingredient in the unscented formula.